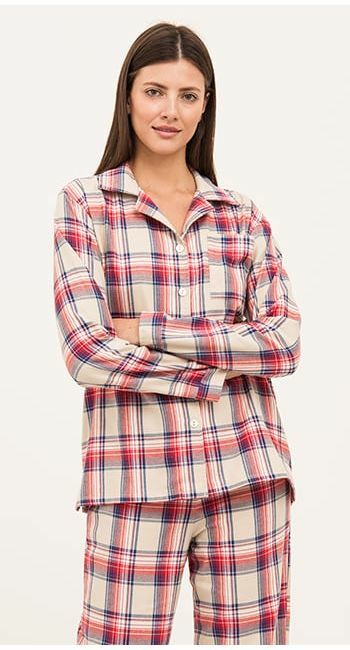 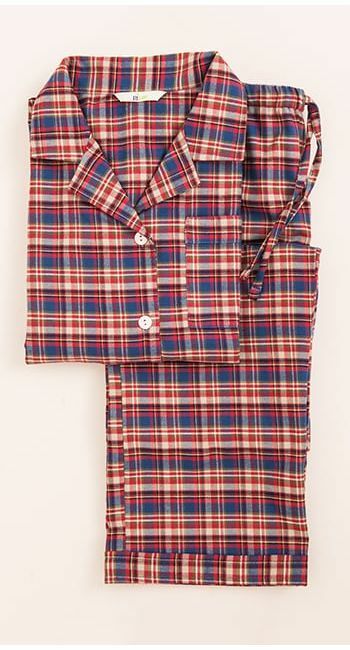 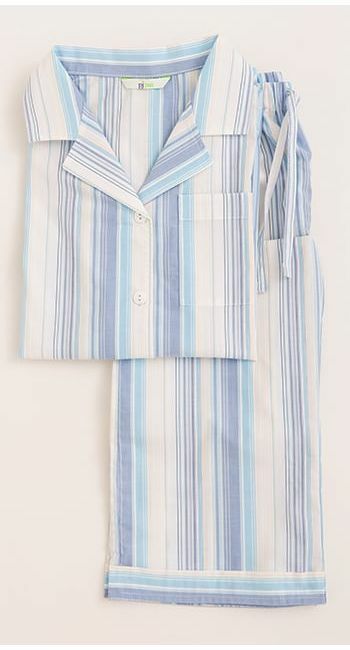 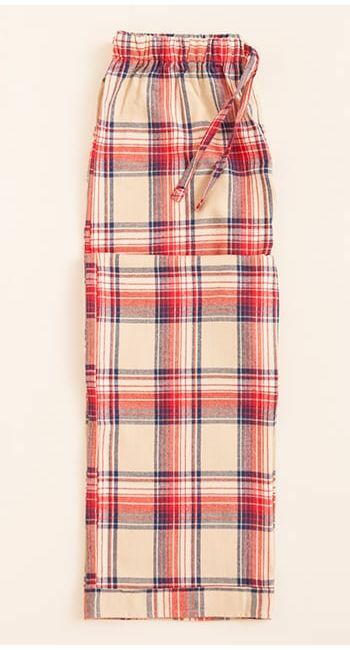 Girl's luxury brushed cotton pyjamas in a fun blue, cream and red check. 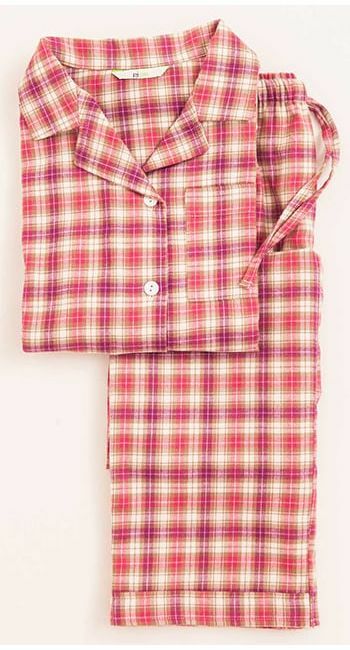 Pyjama trousers are also sold separately for those not wanting a jacket. 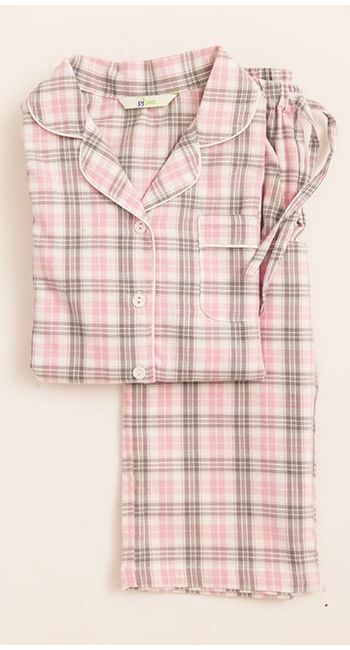 You'll find the same cosy fabric in the women's collections enabling you to buy matching mother and daughter pyjamas.